A textural perspective. Emerging designer Mimi Prober injects a dark edge into romantic fashion for fall 2017. 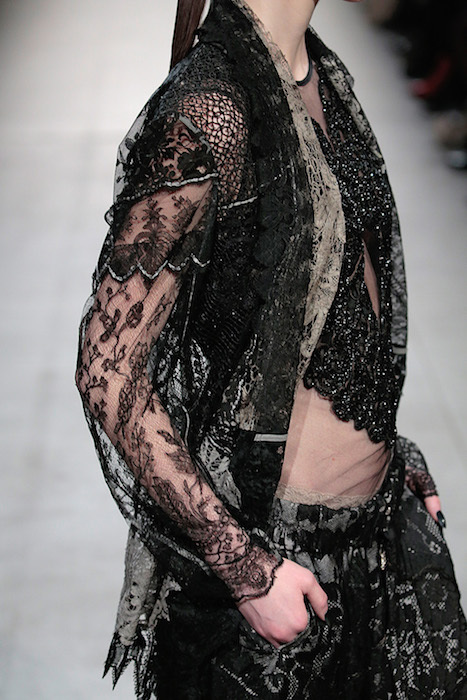 Though edgy in nature, these pieces don’t lack feminine… the carefully distressed looks drape beautifully on the body. The lace + corset combo is a favorite, along with shredded knits. The new garde: Here’s a look at a few behind the scenes beauty moments, up close details and runway fabulousness from this young designer. The new garde: MIMI PROBER dark romance commentary + faves by Brigitte Segura. runway stories // #brigitteseguracurator // #FashionDailyMag. || fall-winter here and here. more fashion // beauty //#brigitteseguracurator.